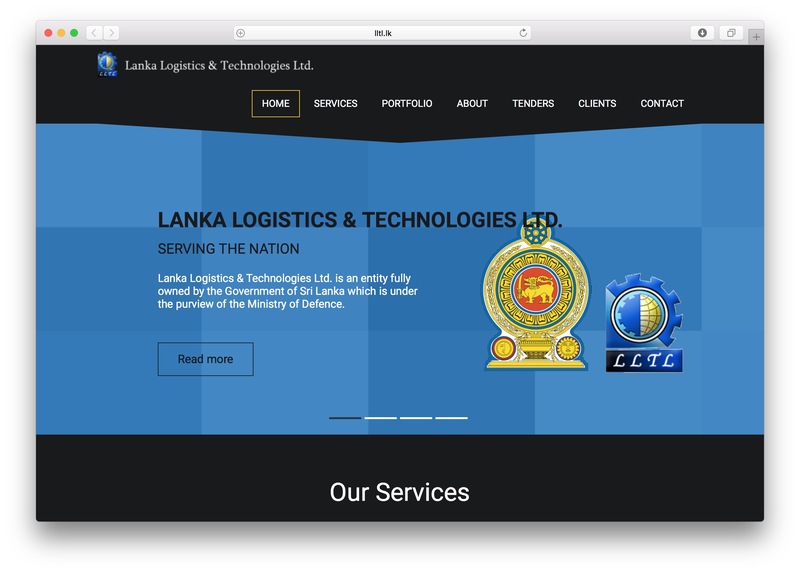 The LLTL site – http://www.lltl.lk – is archived because in February 2017, one of the projects administered by it, funded and overseen by the Ministry of Defense, is Sri Lanka’s e-NIC (National Identity Card) project. Download the archive here (from February 2017). Download second archive of the site, in a new avatar, here. Taken 10 May 2018. 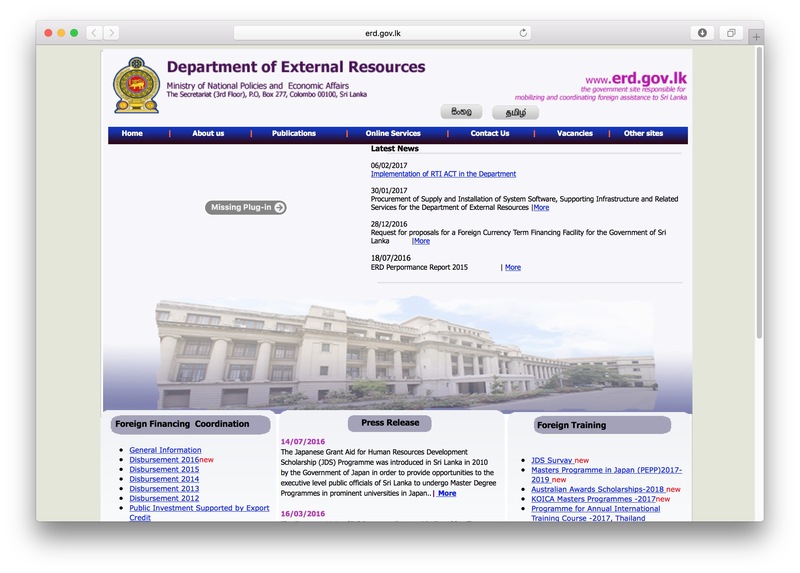 …responsible for mobilizing and coordinating foreign development assistance to Sri Lanka. ERD facilitates achieving the development objectives highlighted in the Development Policy Framework of the Government of Sri Lanka. Download the first archive of the site, taken on 20 February 2017, here. Download the second archive of the site, taken 31 December 2017, here. The site was revamped sometime early 2018. Download the third archive of the site, taken 30 April 2018, here. 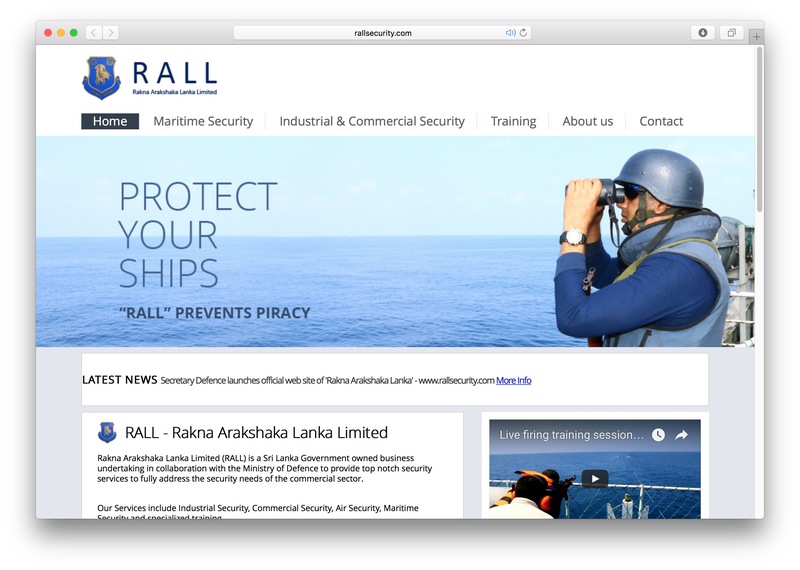 Rakna Arakshaka Lanka Limited (RALL) – http://www.rallsecurity.com – is a controversial company that has made the news over the years. Download the first archive of the site, taken in February 2017, here. Download the first archive of the OCDS website, taken in February 2017, here. Download the second archive, taken 5 May 2018, here. Downloaded the 3rd archive, taken 23 March 2019, here. The website of the Tamil National Alliance (TNA) was first archived here in 2008, at a time when under President Mahinda Rajapaksa and before the end of the war, media reports suggested it was under investigation. The website has since relaunched, and under a different URL – http://tnapolitics.org. The first archive of the site was taken on 15 February 2017. Access it here. Access 2nd archive of the site, taken 30 October 2018, here. Download the archive, taken on 14 February 2017, here. Download collection of PDFs taken 17 October 2018, here.